This past weekend the Burlington Country Club celebrated the grand re-opening of its renovated clubhouse. TruexCullins Architecture and Interior Design has been working with the Club through the fall and winter on the renovations, and the project was substantially complete enough that the first group of members and guests could enjoy the inaugural ‘happy hour’ of the season. We’ve seen a return to winter weather in Vermont this week, but last Friday, the sun was shining and the golfers were out on the course. We were enjoying the view from the Grill Room, where a completely reimagined approach to seating provides a welcoming but cozy place for members to gather. The dramatic space is capped with a wood cathedral ceiling and a custom repurposed glass chandelier from Conant Metal & Light. The bar is all-new, with Douglas Fir cladding and a copper bartop. 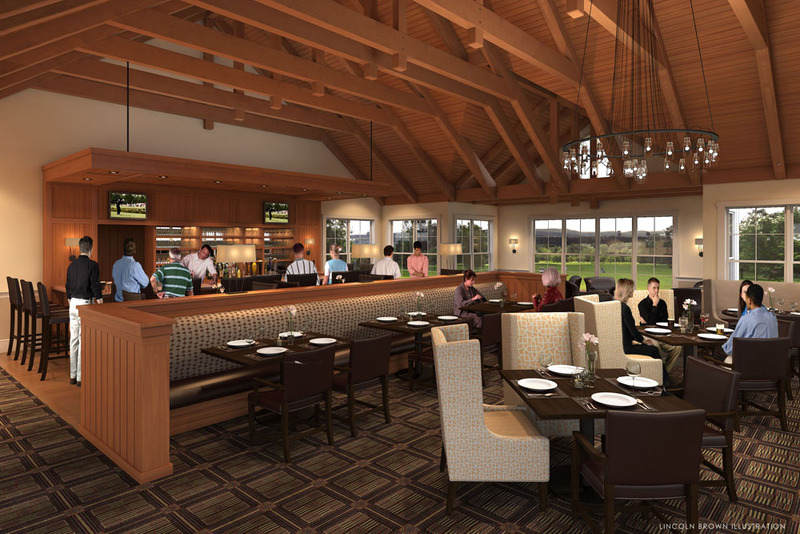 The renovations to the clubhouse also included a new dining room addition and exterior stone terrace overlooking the 18th hole. And both locker rooms have been expanded and improved to support the growing membership of both men and women. The renderings below are by Lincoln Brown Illustration. 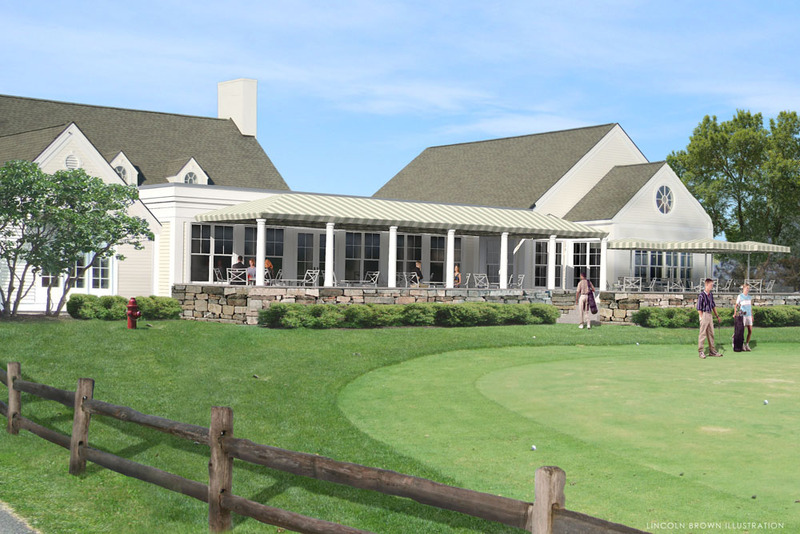 The general contractor for the project is J.J. Jimmo Development Company, and they are now finishing up construction so that the clubhouse will be fully operational for the start of the 2010 golf season.